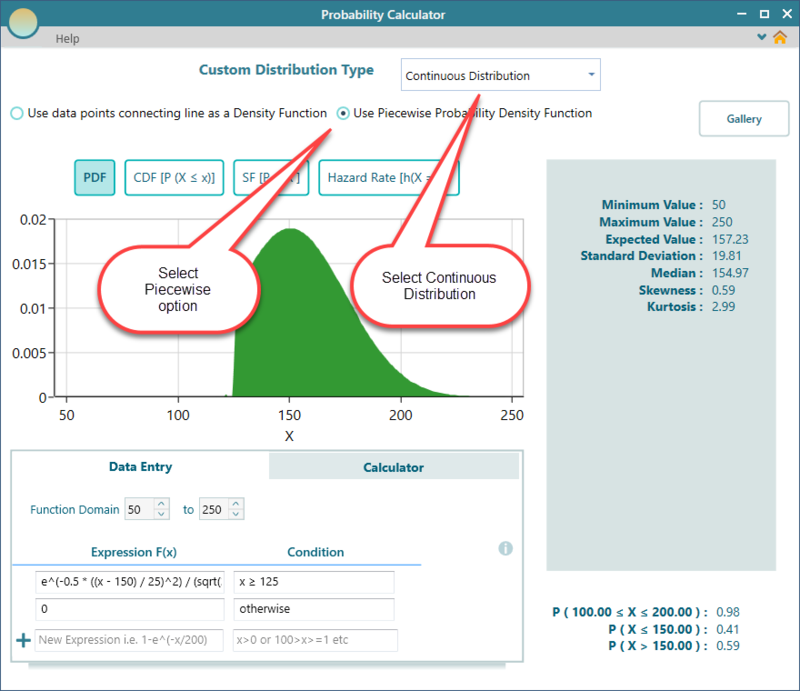 There are many commonly used Probability Distributions available in the gallery, yet, you may like to create a distribution of your own. 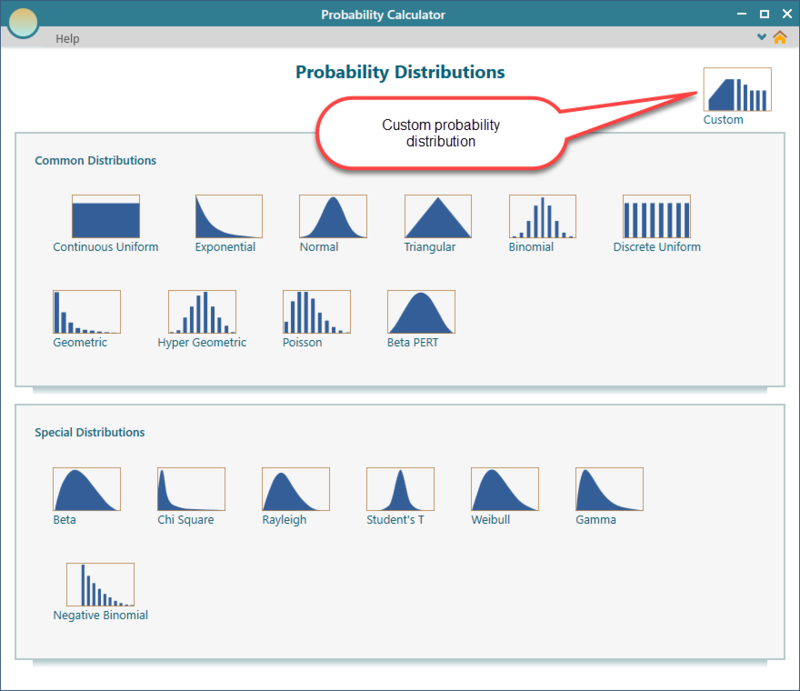 Therefore, Custom distribution is available for you to model any probability distribution you want using expressions of "x". 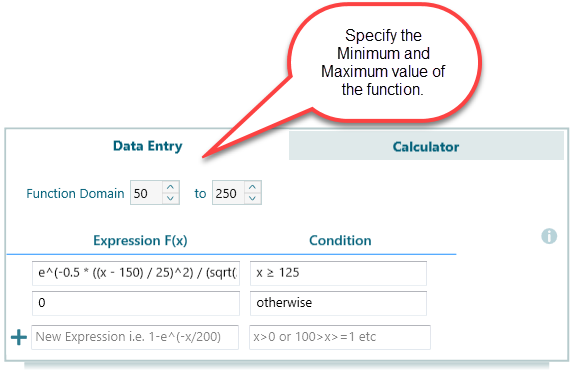 Also, you can create a distribution providing a data table, where the table represents a set of data points that connect and form lines. From the dashboard, chose the 'Custom' button to start. 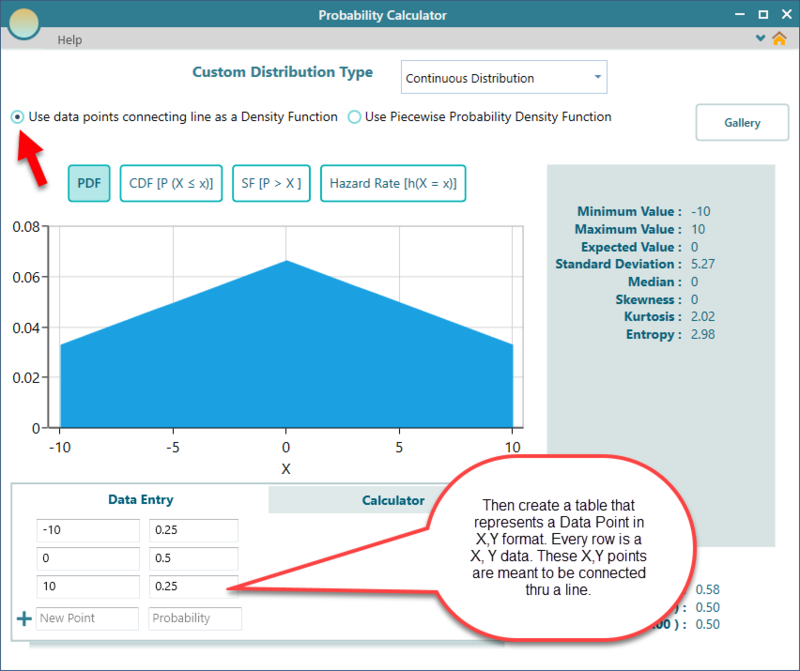 You can use a piecewise expressions for modeling a custom probability distribution. In this chapter, we are demonstrating the functionalities of a continuous type distribution.